S GRIP has launched new glass railing profile SG11. 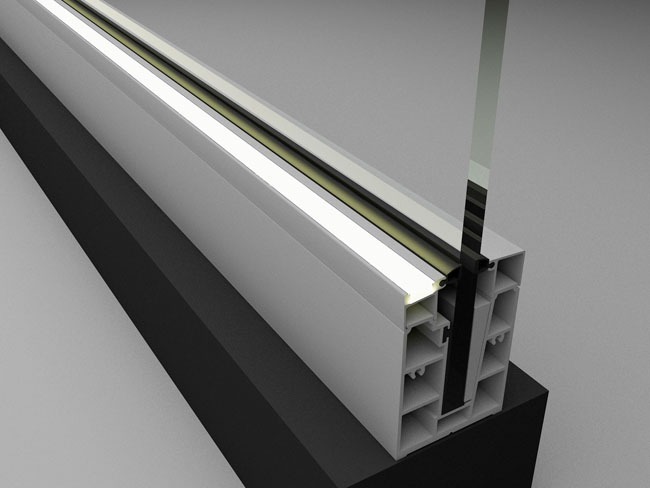 Featuring LED light, the continuous base profile gives aesthetically appealing looks to architecture. SG11 is a top-mount profile made of grade 6063 T6 aluminium, having 108mm height and 70mm width. The LED is housed in the top cover for easy installation. The system is compatible with glass thickness 12-15mm, and 1000mm height. It is ideal for balconies, stairs and building enclosures.